Susan became keenly aware that plants don’t operate from an ego point of view after receiving her first Plant Spirit medicine treatment. She experienced a place where things flowed, taking the time and space that was needed. The Plant Spirit Medicine treatments gave her a taste of a place free of judgment and rich with possibility. Susan began to perceive the plants’ presence around her with more vividness. Susan’s perceptions changed so much during that season that she decided to set out on the path to learn this ancient form of healing. She discovered that the plants have more than enough to offer us. In a world that barely allows us to stop and catch our breath this medicine is invaluable. It provides an opportunity to find balance that has eluded us, re-ignite ebbing fires and re-unite us with neglected aspects of ourselves, ones that are intrinsic to our overall sense of well being and inspiration. 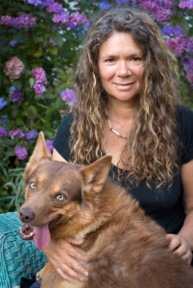 Susan Bennett is a graduate of the Plant Spirit Medicine training program under the tutelage of Eliot Cowan and Alison Gayek and is a Professional Member of the Plant Spirit Medicine Association.